So yesterday was my first real ‘work day’ of the year in the garden. I’ve been piddling around here-and-there all year, but yesterday was the first ‘back-breaker’ as it were. Odd-number years are never good for me because of the Legislature and this year was particularly bad because I was juggling so many bills and hearings. I cleaned out all the beds in advance of next week’s annual mulch laying *sigh* It looks good after it’s done, but it’s a nightmare to get it out. That’s a blog entry in-and-of-itself. 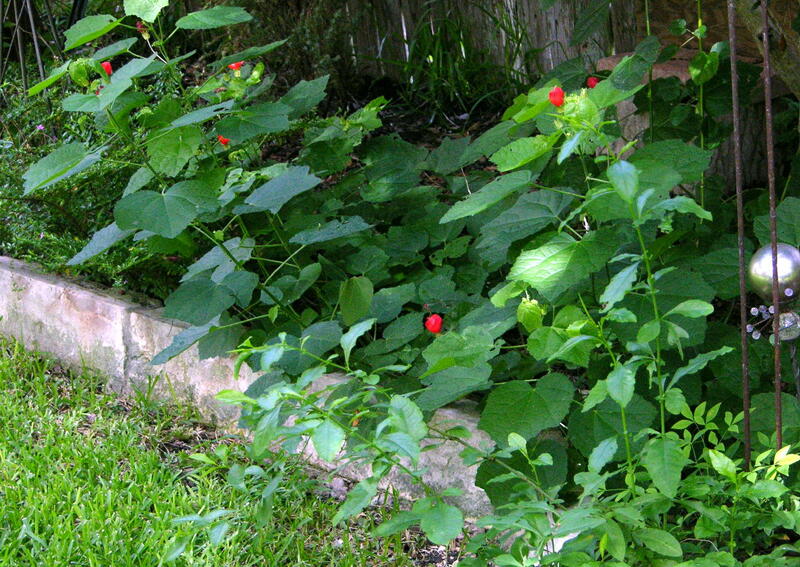 The Turk’s Caps (Malvaviscus drummondii ) are doing really well. 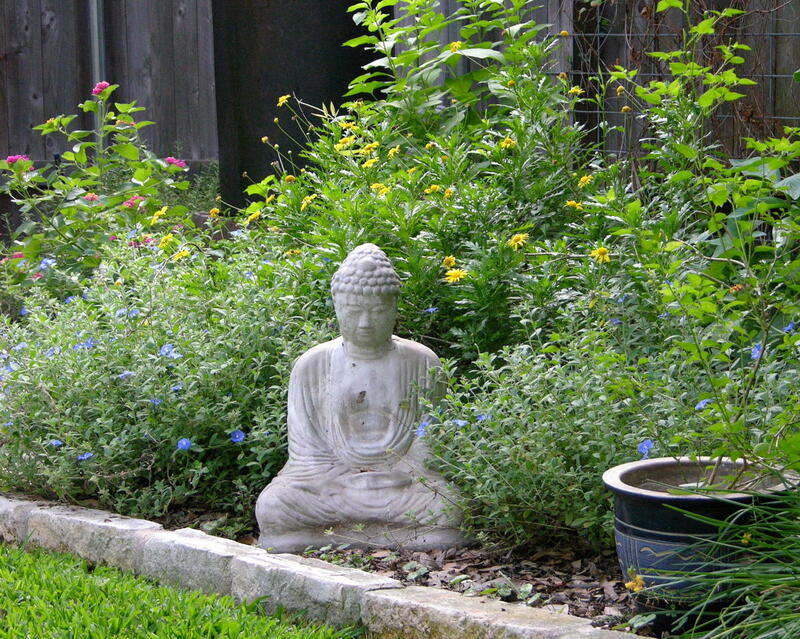 They truly are my go-to plantings – they seem to thrive in almost any condition. There are heaps of them on the Town Lake running trail. That’s how I stumbled on them; literally. 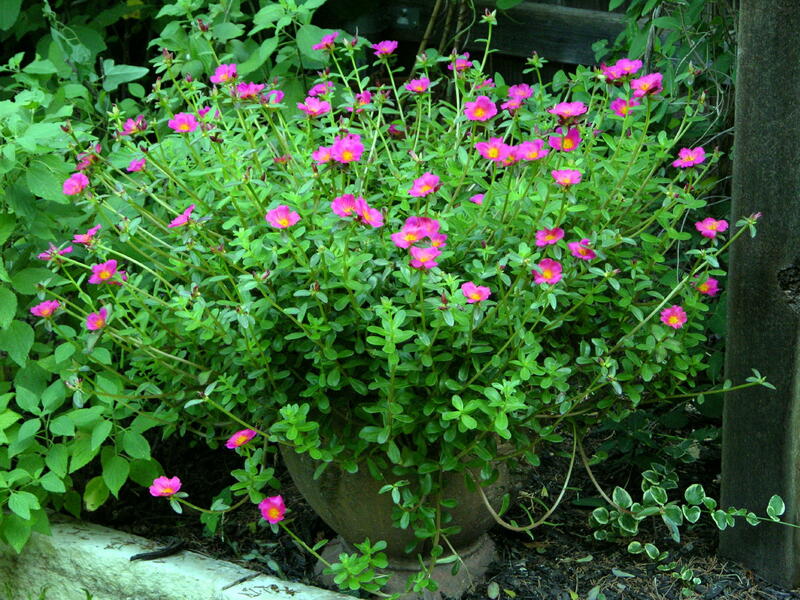 I found some great portulacas at The Natural Gardner a few weeks ago for my two stone urns. I’m very happy with those. The ‘wild meadow’ experiment I tried last year seems to be doing very well, too. Probably because we didn’t have any significant freezes over the winter. The blue daze (evolvulus), daisy bushes (euryops), lantanas (verbenaceae), blue potato bush (lycianthes rantonnetii), and plumbago (plumbaginaceae) are all coming on. 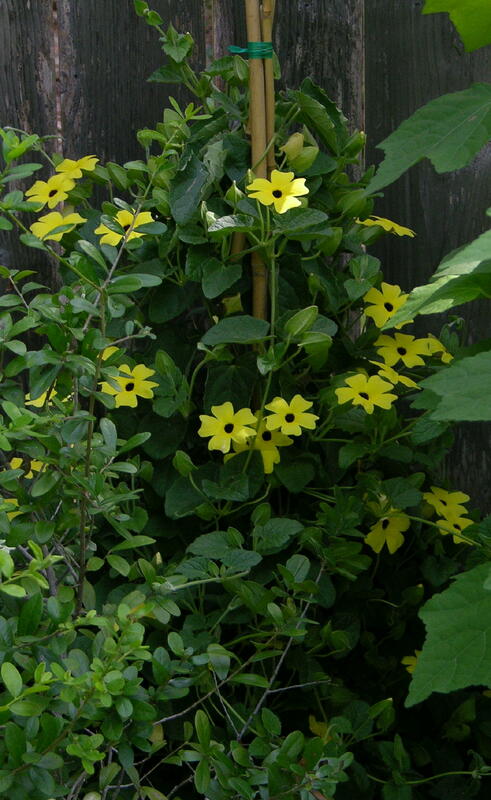 I also planted a Black-Eyed Susan vine (Thunbergia). I love these, but wasn’t able to find one last year. They’re supposed to be pretty prolific re-seeders, but alas not for me. 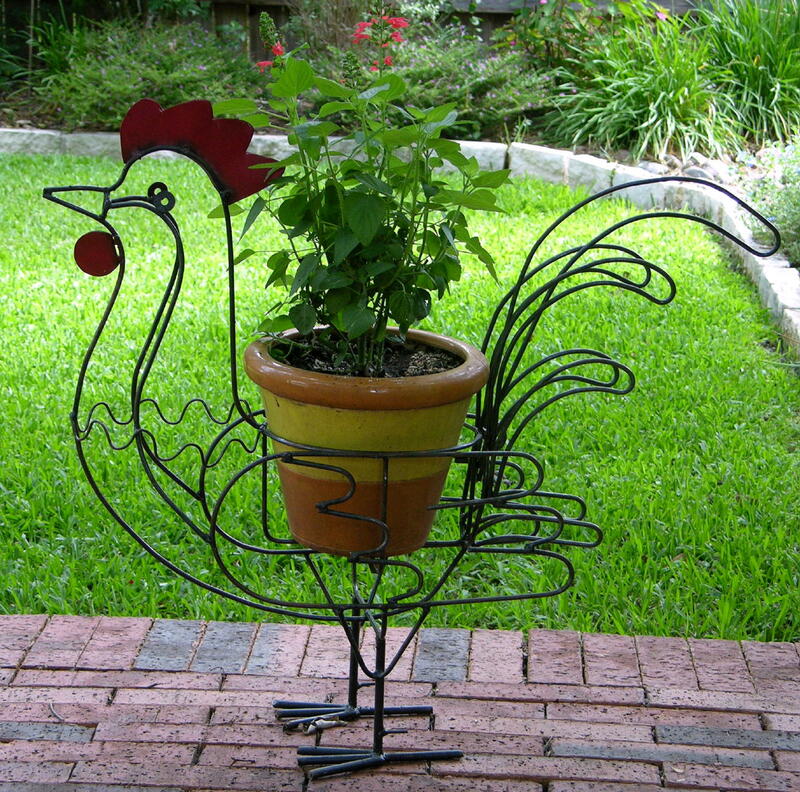 I’ve been trying to reign in my penchant for buying garden tchotkes, but I couldn’t resist this chicken planter. If I can’t have a real chicken coop, this is probably the closest I can get.